Weed killers are herbicides used to control the growth of or eliminate unwanted plants from home gardens, farms, fields, etc. Weed Killer Poisoning is the accidental or intentional intake of the compound. The exposure may occur following skin/eye contact with weed killers, inhalation, or swallowing of the product. What is Weed Killer Poisoning? Weed killers are herbicides used to control the growth of or eliminate unwanted plants from home gardens, farms, fields, etc. What are the Causes of Weed Killer Poisoning? What are the Signs and Symptoms of Weed Killer Poisoning? 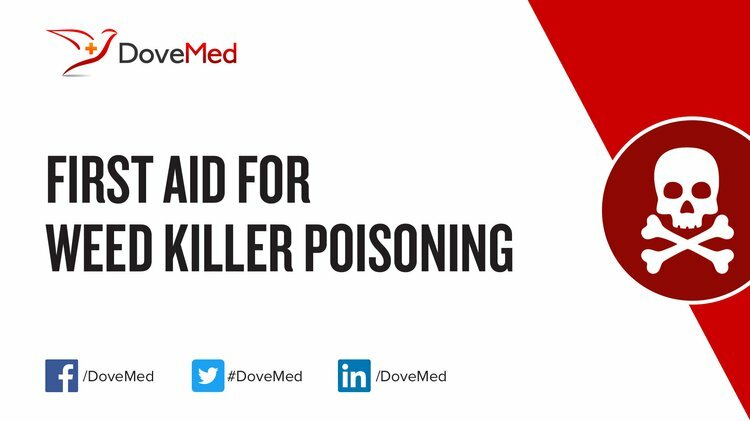 The signs and symptoms of Weed Killer Poisoning can vary from one individual to another. It may be mild in some and severe in others. Several systems of the body may be affected. How is First Aid administered for Weed Killer Poisoning? Who should administer First Aid for Weed Killer Poisoning? First aid for Weed Killer Poisoning is administered by healthcare professionals. What is the Prognosis of Weed Killer Poisoning? How can Weed Killer Poisoning be Prevented? Benbrook, C. M. (2012). Impacts of genetically engineered crops on pesticide use in the US--the first sixteen years. Environmental Sciences Europe, 24(1), 24. Xu, H. D., Wang, J. S., Li, M. H., Liu, Y., Chen, T., & Jia, A. Q. (2015). 1 H NMR based metabolomics approach to study the toxic effects of herbicide butachlor on goldfish (Carassius auratus). Aquatic Toxicology, 159, 69-80. Clair, É., Mesnage, R., Travert, C., & Séralini, G. É. (2012). A glyphosate-based herbicide induces necrosis and apoptosis in mature rat testicular cells in vitro, and testosterone decrease at lower levels. Toxicology in vitro, 26(2), 269-279. King, J. J., & Wagner, R. S. (2010). Toxic effects of the herbicide Roundup® Regular on Pacific Northwestern amphibians. Northwestern Naturalist, 91(3), 318-324. Gul, J., Khan, M. A., Farzana, G., Mushtaq, A., Masood, J., & Muhammad, Z. (2010). Ethnobotanical study of common weeds of Dir Kohistan valley, Khyber Pakhtoonkhwa, Pakistan. Pakistan Journal of Weed Science Research, 16(1), 81-88. Ghorbani, R. E. Z. A., Koocheki, A., Jahani, M. A. R. Y. A. M., & Hosseini, A. Z. A. D. E. H. (2010). Effect of planting date, weed control time and method on yield and yield components of cumin. In Proceedings of 3rd Iranian Weed Science Congress, Volume 2: Key papers, weed management and herbicides, Babolsar, Iran, 17-18 February 2010 (pp. 67-70). Iranian Society of Weed Science.